This is one of the first books I picked up to read from the small stack I received as Christmas gifts. I had a little time amid my last week of school and I decided to take away from of the edge of the stress that came with the studying and essay writing to come and curl up with a new book. I haven't seen the movie that was inspired by this book starring The Fault In Our Starts actress Shailene Woodley, but I hope to someday. 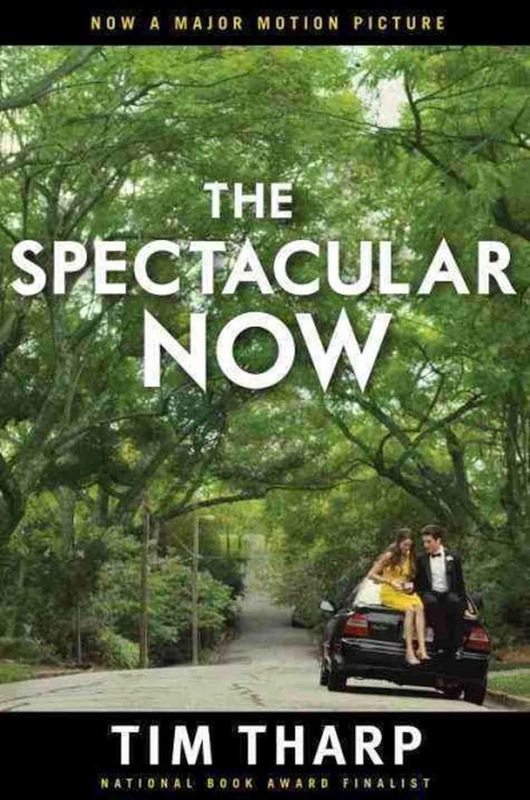 The synopsis on the back of the book is what made me put it on my Christmas list - it looked to be a story filled with a skewed sense of optimism by the main character, Sutter Keely, who likes to "embrace the weird," and desires to "take a ride straight into the heart of the spectacular now." The character of Aimee is also interesting, who the author describes in Sutter's voice on the back cover as "a social disaster." At the core of her, she's your everyday geek girl with a meek disposition and not enough self-confidence to stand up for herself when her mother takes advantage of her daughter's kindness and uses her as a doormat. As an escape from the real world, Aimee contents herself with reading sci-fi novels, and admires one female protagonist from a particular series that she ends up bonding over with Sutter (after he does a thorough Google search on the character). 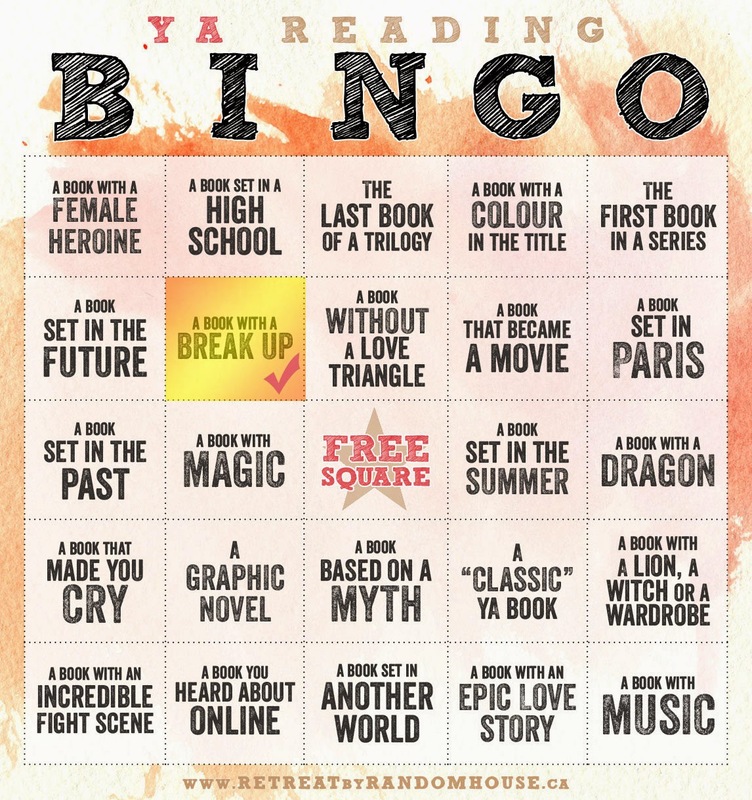 In case you're worried, the category on the bingo card is not a big spoiler to anything that happens in the book - you find out from reading the back of the book about Sutter's girlfriend Cassidy along with Aimee being the new girl in his life. Cassidy actually plays true to that initial threat pretty early on in the book, so I'm by no means giving away a huge plot point by choosing that category. For this book I don't want to give too detailed a review, since my biggest comments would be about the ending, and I'd hate to give it away. What you should know is that it's quite an enjoyable read, and the characters, especially Sutter and Aimee, are far from predictable. If you're looking for a story that's a little off-kilter than your typical Young Adult novel, this is a book that you want to pick up!